The formal partners of the CRUK Cambridge Centre are Cancer Research UK, the University of Cambridge and Cambridge University Hospitals NHS Foundation Trust. We work in close collaboration with over 200 research groups located in the partner organisations listed below. 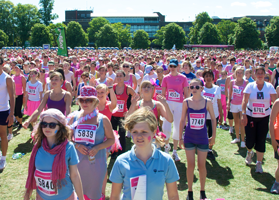 Cancer Research UK is the world's leading charity dedicated to beating cancer through research. The charity is the biggest single independent funder of cancer research in Europe. It provides funding for over half of the UK’s cancer research, including the life-saving work of over 4,000 scientists, doctors and nurses fighting cancer on all fronts. 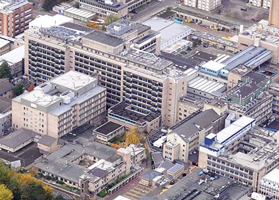 Addenbrooke’s Hospital is an 1,100 bed regional hospital which provides cancer care for a core population of 1.3 million. It is also a tertiary referral centre for most cancers for the East of England covering a population of 4 million. Many of the consultants in the hospital Department of Oncology are also involved in research projects or clinical trials. 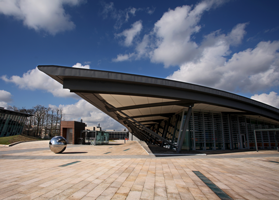 The School of Clinical Medicine and School of Biological Sciences form the foundations for many of the innovations in cancer science in Cambridge. 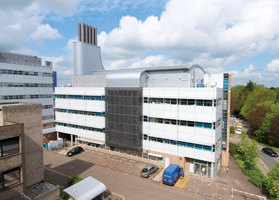 Many members of the CRUK Cambridge Centre have joint appointments with the University and one of the partner research institutes or Addenbrooke’s Hospital. In addition some members of University departments such as Biochemistry, Genetics, Zoology, Engineering, Physics and Mathematics collaborate with other scientific or clinical disciplines to conduct cancer-related research. The Department of Oncology is an academic department within the School of Clinical Medicine at the University of Cambridge. 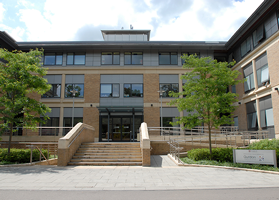 The Department is led by Professor Richard Gilbertson and located across several sites - many of which are on the Cambridge Biomedical Campus, which encompasses Addenbrooke's Hospital, several University of Cambridge Departments, internationally renowned Research Institutes and pharmaceutical companies. 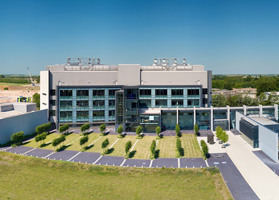 This co-location of members provides access to state-of-the-art clinical and research facilities and enables close collaboration among world-class laboratory scientists and doctors. 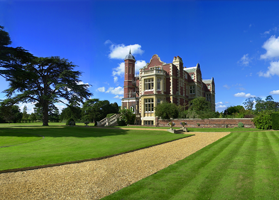 The Babraham Institute undertakes innovative, life sciences research to understand how normal cellular processes operate and change during development, with age and with experience. Research focuses on determining how the body reacts to dietary and environmental stimuli, and manages microbial and viral challenges. Knowledge gained from this research may be used to improve lifelong wellbeing and healthier ageing, or be translated into medicines or therapies for human diseases such as cancer. The Cambridge Institute for Medical Research (CIMR) is a cross-departmental institute within the Cambridge University School of Clinical Medicine. It provides a valuable interface between basic and clinical science that underpins its high level objective of determining and understanding the molecular mechanisms of disease. 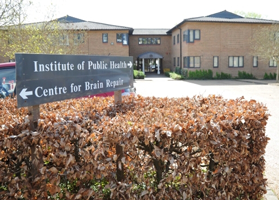 The Cambridge Institute of Public Health was established in 1992 as a partnership between academic departments across the University as well as the NHS and charitable sector. Research is focussed on the influences of population health in relation to susceptibility to the main four non-communicable diseases, which are cardiovascular disease, cancer, chronic lung diseases and diabetes. 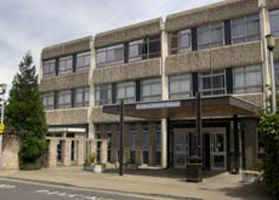 The CRUK Cambridge Institute is part of the Cambridge University School of Clinical Medicine. Over 20 research groups, with some 350 bench researchers, are housed in the Li Ka Shing Centre and supported by world-class core scientific facilities. The fundamental principle for research at the Institute is to link the laboratory to the clinic, thus driving the development of new approaches to the screening, prevention and treatment of cancer. The European Bioinformatics Institute, which is part of the European Molecular Biology Laboratory, provides freely available data from life science experiments covering the full spectrum of molecular biology. Identifying patterns of genes that are active in different types of tumour can help to develop early diagnosis and treatment of cancers. 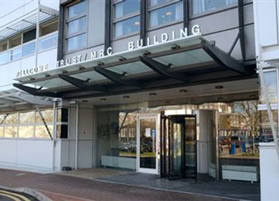 The Hutchison MRC Research Centre houses the MRC Cancer Unit, elements of the Cambridge University Department of Oncology, and laboratories of the Cambridge Molecular Therapeutics Programme. Clinicians and scientists work together to bridge the gap between basic cancer research and clinical practice through innovative, interdisciplinary research in three major areas – cancer biology, cancer diagnosis, and cancer therapy. The Laboratory of Molecular Biology is one of the birthplaces of modern molecular biology. Scientists apply basic research in molecular biology to understanding and curing disease. Many techniques were pioneered at the laboratory, including DNA sequencing, methods for determining the three-dimensional structure of proteins and the development of monoclonal antibodies. 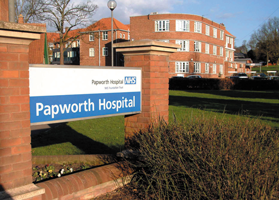 Royal Papworth Hospital is the UK’s largest specialist cardiothoracic hospital and the main heart and lung transplant centre. It is also the key centre for lung cancer diagnosis and surgery for the West Anglia region, and conducts research into screening and early diagnosis of lung cancer. The hospital is relocating to the £130 million New Royal Papworth Hospital within the Cambridge Biomedical Campus in 2019. The Strangeways Laboratory combines specialists in epidemiology, cancer, and the genetics of public health. 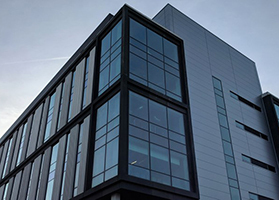 The Centre for Cancer Genetic Epidemiology, which is based at Strangeways Research Laboratory, is one of the leading centres for research into the genetics of cancer. The Centre carries out association studies in breast, ovarian, prostate and other cancers, to identify genes that increase cancer susceptibility. 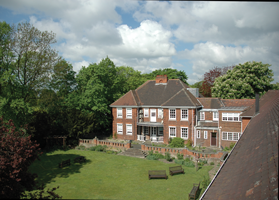 The Gurdon Institute is part of the School of Biological Sciences in the University of Cambridge. The Institute promotes research in both developmental biology and cancer biology. These topics are complementary since developmental biology is concerned with how cells acquire and maintain their normal function, whereas cancer is a result of a cell breaking loose from its correct controls and becoming abnormal. 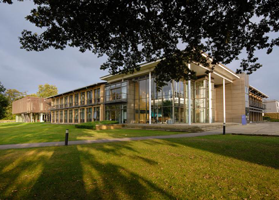 The Cambridge Stem Cell Institute brings together outstanding researchers from 25 stem cell laboratories in Cambridge to form a world-leading centre for stem cell biology and medicine. Scientists in the Institute collaborate to generate new knowledge and understanding of the properties of stem cells to establish their true medical potential. 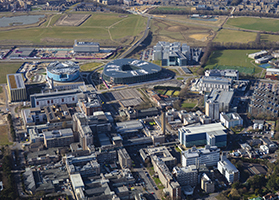 Later this year the Cambridge Stem Cell Institute will move into a new building, pictured left, on the Cambridge Biomedical Campus. 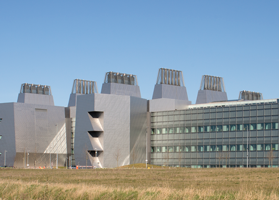 The Sanger Institute is a leader in the Human Genome Project and is now focussed on understanding the role of genetics in health and disease. The Institute's researchers engage in projects that seek to further our understanding of gene function in health and disease, and to generate data and resources of lasting value to biomedical research.